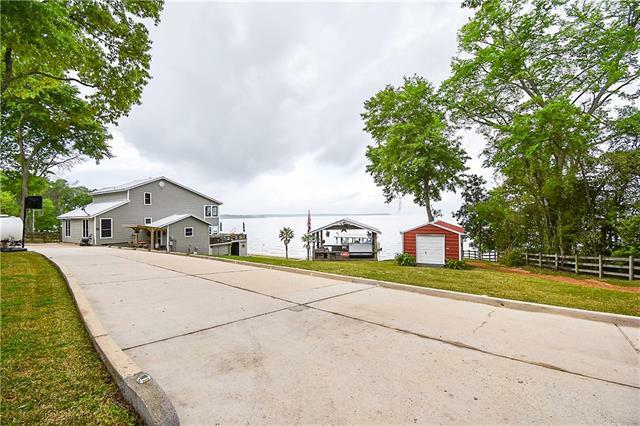 All Coldspring homes currently listed for sale in Coldspring as of 04/25/2019 are shown below. You can change the search criteria at any time by pressing the 'Change Search' button below. If you have any questions or you would like more information about any Coldspring homes for sale or other Coldspring real estate, please contact us and one of our knowledgeable Coldspring REALTORS® would be pleased to assist you. "Gated 3.93 Acres with mature trees on this lovely waterfront property allowing a 180 degree view of Lake Livingston! Bulkhead w Pier, Boathouse w slips for boat or Jet skis & ramp designed for easy lake entrance. Adorable well maintained home contains spacious open concept living area, w 2 sun rooms facing the lake w a great view! Fresh paint inside and out, aluminum Roof 2018, both AC's replaced 2018 w new duct work. Plenty of space to relax and entertain while lounging in the hot tub covered p"